When a loved one dies it can seem like life will never be normal again. The world can become a blur of flowers, relatives, cards, and well-meaning visitors; and the griever may feel that he or she cannot come up for air. But there is normalcy after death, say authors Zonnebelt-Smeenge and De Vries; it just takes some time--and help--to get there. Traveling through Grief takes readers on the journey toward life after death, focusing on five common tasks of grief: accepting the reality of death, embracing all the emotions associated with death, storing memories, separating oneself from the deceased, and reinvesting fully in one's own life. 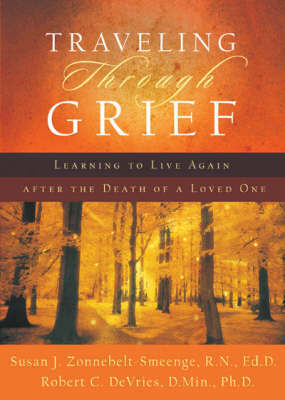 This book is the perfect gift for a grieving friend or tool for a loved one in need.